AIDS has been a devastating plague in much of sub-Saharan Africa, yet the long-term implications for gender and sexuality are just emerging. AIDS and Masculinity in the African City tackles this issue head on and examines how AIDS has altered the ways masculinity is lived in Uganda—a country known as Africa’s great AIDS success story. 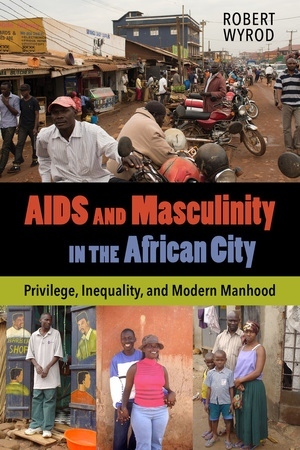 Based on a decade of ethnographic research in an urban slum community in the capital Kampala, this book reveals the persistence of masculine privilege in the age of AIDS and the implications such privilege has for combating AIDS across the African continent. Robert Wyrod is Assistant Professor in the Department of Women and Gender Studies and the International Affairs Program at the University of Colorado Boulder.